Run dialog box is a rapid way to open programs. Run commands are executed by typing a special command into the Run dialog box which can be opened by pressing the [Windows] + [R] keys. Don't confuse Run commands with the command line. Another way to open Run commands is to type the command into the Windows search box. Here are some quick and useful Run commands. 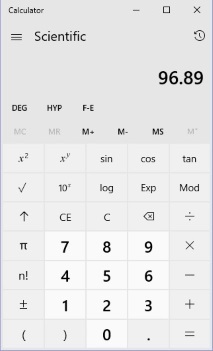 Windows Calculator actually provides four different calculators: Standard, Scientific, Programmer, and Date Calculation. The Programmer Calculator allows you to perform mathematical operations in different number systems, such as HEX and BIN. The Date Calculator allows you to calculate the number of days between two dates. In addition to these calculators, there are 13 converters, such as Volume converter, Temperature converter, and so on. Notepad is a simple ASCII text editor. No fancy fonts or formatting here. It's great for writing quick programming scripts, which will not work with the formating codes from a fancy word processor in them. I personally use Notepad more than any other application. 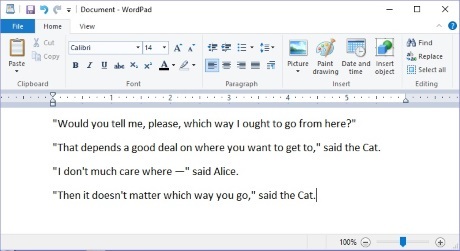 If you need something more powerful than Notepad, Wordpad will provide you with the font, formatting, and image adding capabilities of a regular word processor. Unfortunately, Wordpad does not come with a built-in spell check, however there is a free utility TinySpell that you can download that, when opened at the sasme time as Wordpad will monitor your typing and check your spelling plus provide spelling suggestions. 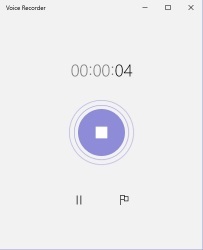 When recording you'll notice the rings around the big blue button will be enlarging and shrinking along with the recording volume. Click on the big blue button to stop the recording and autosave the file. If you haven't changed the default save location you'll find your recordings in C:\Users\YourUserName\Documents\Sound recordings (if Windows 10 is the C drive).